Taking care of your skin is definitely important, it is like brushing your teeth everyday, it needs additional care. Having a good skin care regime will keep skin looking its best and it will prevent it from common skin problems such as acne, blemishes, signs of aging etc. 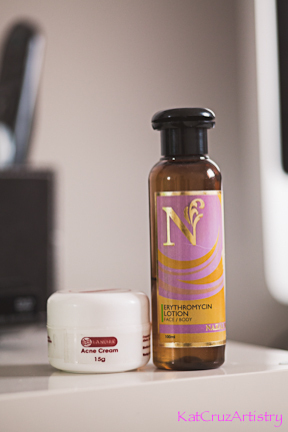 I had a few skin problems once upon a time and I used too many products on my skin which irritated it even more. So I eliminated a few products and stuck to the one's I have mentioned below and honestly it improved my skin over time. Cleansing your skin twice a day (morning and at night) with a mild liquid cleanser. 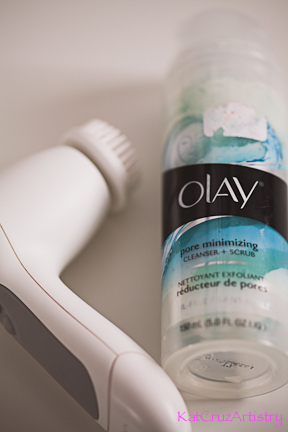 I use a hand held brush like the Olay Pro-X Advanced Cleansing System with my Olay Pore Minimizing Cleanser and Scrub. I find this product very refreshing on my skin and cleanse deeply and exfoliate my skin. 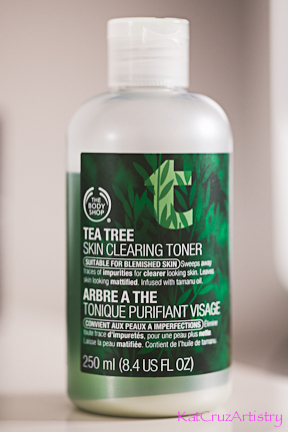 Applying a toner removes any residue left behind after cleansing, and it leaves your skin revitalized. I use the Body Shop Tea Tree Clearing Toner, this is also good for sensitive skin. It's important to moisturize once a day, everyday, no matter what skin type you have to keep your skin hydrated. For oily skin, it's best to use a oil free moisturizer so it won't clog your pores. 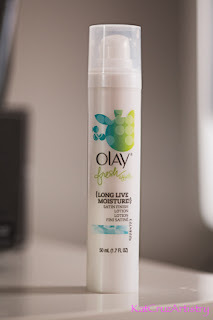 I use the Olay Fresh Long Live Moisture, I like this product because it has a satin finish so I don't find it greasy on my skin. Protect your skin from the sun, use a sunscreen with an SPF 15 during the cold season and SPF 30 or up for the warm weather months to prevent anti-aging and discoloration. 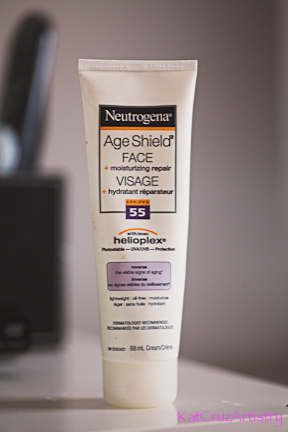 I've been using the Neutrogena Age Shield Face SPF 55. It's important to exfoliate twice a week to remove build up of dead skin cells allowing new cells to be exposed which will make your skin looking healthier. 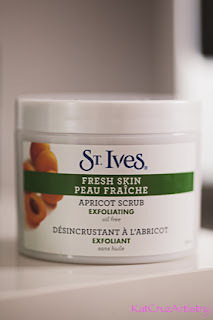 I use the St. Ives Fresh Skin Apricot Scrub. Again, this product nourishes my skin, and it helped my skin to have a clearer complexion and it's also affordable. Applying a night cream with glycolic acid restores your skin and provides enough hydration while you sleep. 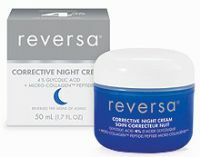 I've been using the Reversa Corrective Night Cream with 4% glycolic acid, this has been recommended to me by a professional esthetician. This has exfoliating properties which reduces the appearance of brown spots. I think this is worth an investment in return of having a radiant and smoother complexion, and an even-toned skin. Having a facial every 4-6 weeks helps remove toxins and dirt accumulated in your skin for weeks, months or years. I regularly place a visit to Abby, an esthetician at Total Wrapture for an hour and a half of steaming and needle-based extractions. It may seem painful but it's not as bad as it sounds, it's very relaxing since I know I'm in a good hands, thanks to her, my complexion is now better than ever. Like I mentioned earlier, I didn't have always the best skin and when I do get breakouts or scars from acne, the only trusted medications that I've been using for ages is Erythromycin and the other product that I just discovered is the Lanelle Cream for Acne. I love these 2 products and I would recommended it to anyone if you can get your hands on it but the only problem is I purchased these overseas (Philippines). When I do run low on these, I usually get my friends or relatives to send it to me, it may be quite expensive but it's the only products that worked and still is working for me. When I do feel that a pimple is about to come out or if it has re-surface on my skin, I would apply one of these product and it won't be as irritating as it use to be, the redness has calm down in a day, and the next morning, it's all gone, that's how amazing it is. Although for the people that can't buy the products that I mentioned above and that are in a hunt for an over the counter medication to treat an acne or brown spots, I consulted a professional (Abby) to suggest some active ingredients that you may want to look for. Acne benzoyl peroxide, salycylic acid, alpha hydroxy acid (known as glycolic acid) and sulfur. To lighten brown spots, you should look for something that has vitamin C, hydroquinone (not for pro-long use), tretinoin, arbutin and kojic acid. 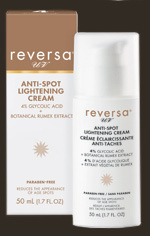 She also suggested the Reversa Anti-spot Lightening Cream. Overall, I've noticed amazing results using these steps and will continue in doing them to get a healthier looking skin. However, if you have any suggestions or feedback in regards to skin care products that you may have used and found effective, please leave a comment below.